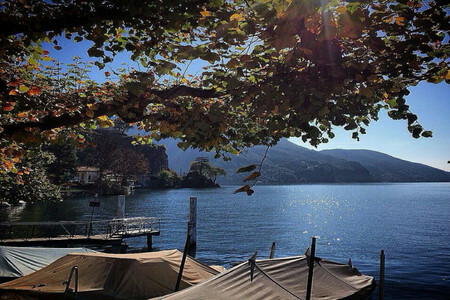 Enjoy a captivating stay on lovely Lake Lugano! 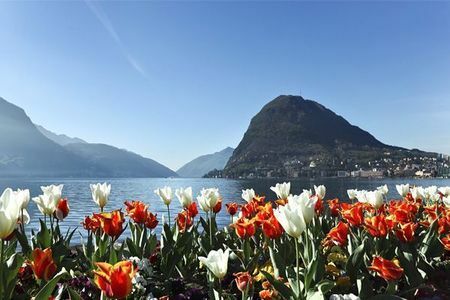 Offering a timeless haven for walking, golf and exploring Lugano and the Swiss Italian lake region, this 2 bed duplex offers a carefree setting in the heart of the well-serviced lake town of Brusimpiano. 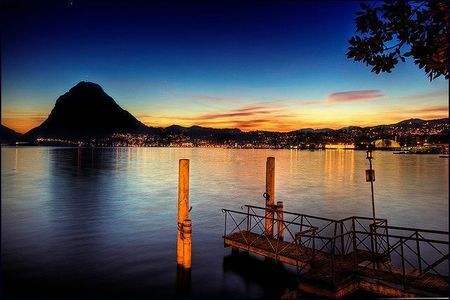 Located just 30 minutes drive from Lugano city, the timeless lakeside setting places families and groups of 5 within easy reach of a wide array of amenities and holiday-friendly activities. The modern family duplex is situated within a charming 2 storey residence. 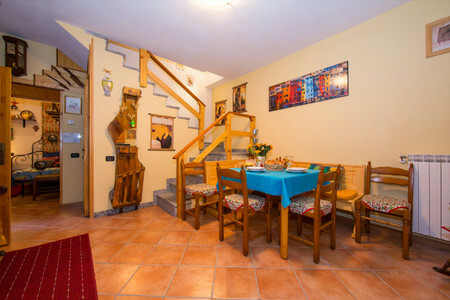 Fitted with cosy central heating and situated across the ground and first floor, the spacious holiday duplex offers a homely interior for hassle-free year round holidays. The inviting ambience inside enables guests to easily unwind, with an open plan living room and open kitchen diner to hand. Equipped with a comfortable sofa suite and dining area for 5, guests can easily spread out, kick off their shoes and feel at home. Paid WIFI access and a SAT TV with DVD player and music stereo provide year-round amusement, whilst the kitchen diner offers a practical family-friendly setting for easy meals in. All the must-have appliances feature, including a cooker hob, oven, toaster and coffee machine. From the welcoming open plan reception, stairs lead to the first floor. 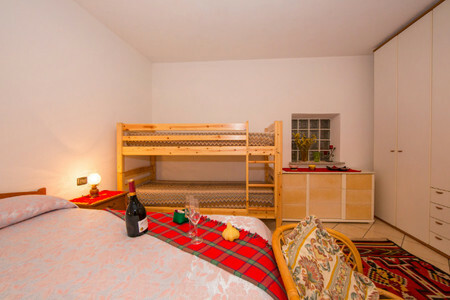 The apartment’s sleeping accommodation offers welcome flexibility for families and friends staying, with a single bedroom with wardrobe and balcony access featuring alongside a couple-friendly family room with double bed and optional set of single bunk beds. 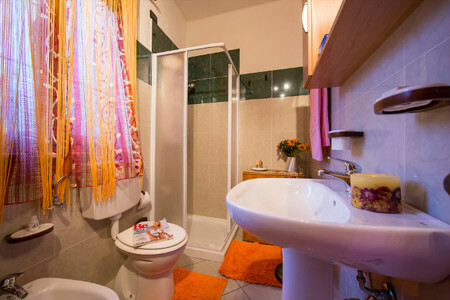 A spacious fitted bathroom with a modern power shower, a bath tub with overhead shower and a washbasin and bidet complete the layout of this comfortable holiday retreat. A useful washer dryer also features to the holiday home and outside public parking can be found nearby. Located within easy reach of the lakefront, guests can step outside and easily soak up the authentic charms of this vibrant lakeside town. The residence is situated amongst a host of local amenities to complement your self-catering stay; with cafes, authentic ‘Tavernas’ and world-cuisine on offer, alongside supermarkets, tennis, a lake beach with boat and canoe rental, a bus and ferry stop and boat mooring facility. 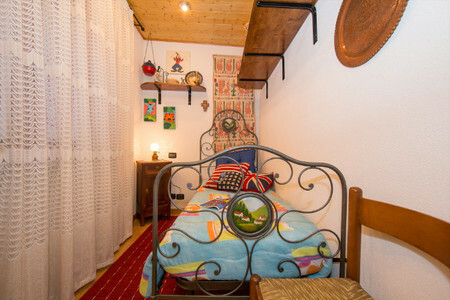 Brusimpiano is conveniently situated for reaching the local hiking routes, as well as the Alprose Chocolate Factory (15km), Villa Cicogna Mozzoni, FoxTown Factory stores and Santa Maria degli Angeli attractions (under 20km away). 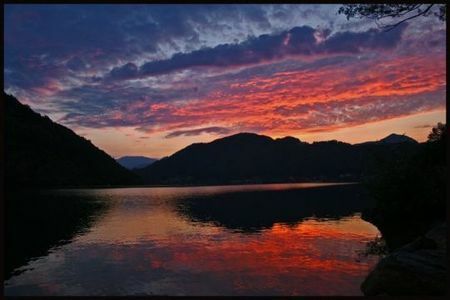 The picturesque idyll of Morcote can easily be taken in just 23 minutes drive away, whilst golfing fans can easily T-off at the Golf Club Lugano, just 12 minute drive away. 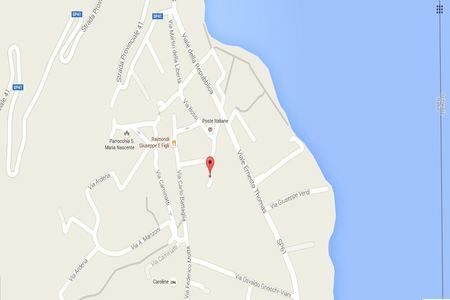 For those looking to relax in the sun, visitors can easily soak up the Lido delights of Caslano, 13 minutes drive away. 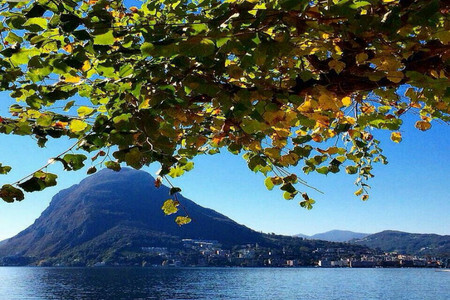 The cosmopolitan allure, chic shopping quarters and cultural attractions of Lugano city are also within easy reach, just 30 minutes drive away. 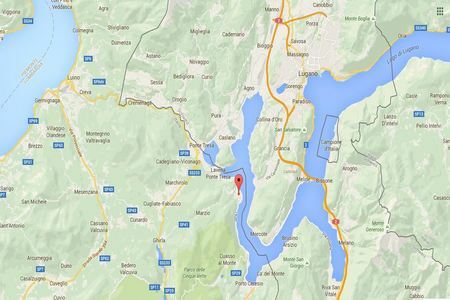 Families and active fans are also located 28 minutes drive from Monte San Salvatore and 32 minutes drive from Splash e Spa and Swissminiatur. 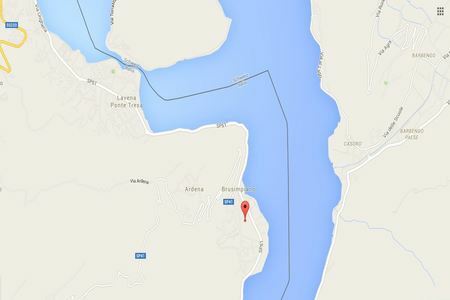 Ideal for year-round holidays, the holiday duplex is located 17 minutes drive from Lugano Airport and 61 minutes drive from Milan Malpensa. Heute haben wir es endlich geschafft Ihnen unsere Eindrücke zu schildern. Wir hatten sehr schöne Tage in Brusimpiano. 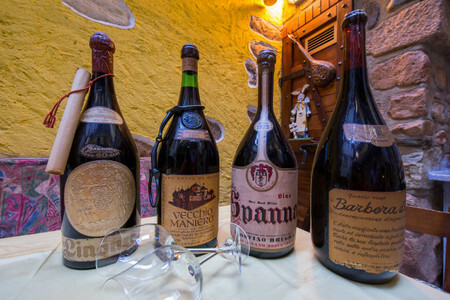 Nachdem das Umfeld noch nicht den besten Eindruck vermittelt hatte waren wir sehr angetan von dem schönen Haus und der schönen und sauberen Wohnung "La Bella". Der freundliche Empfang und die Betreuung von Franco und seiner Familie hat den Aufenthalt wunderschön abgerundet. Das Haus mit dem tollen Innenhof und die freundliche Gastgeberfamilie können wir auf jeden Fall bestens weiterempfehlen. Die Lage zum Badestrand vom Luganer See war optimal. Das Dorffest am Strand war eine schöne Möglichkeit den Tag ausklingen zu lassen. Auch kulinarisch gab es dort tolle Angebote. Unsere Kinder hatten in Italien natürlich eine Pizzeria erwartet, die haben wir im Ort aber leider nicht gefunden. In der Umgebung gibt es viele Ausflugsmöglichkeiten und Milano ist auch schnell (1Std.) zu erreichen. Wir kommen bestimmt mal wieder!!! " Ralph "